Illuminated signage ensures that visitors can find your site and that important information is visible regardless of time of day or weather conditions. ASI’s illuminated signs are designed for longevity – from the durable, weather resistant materials to the long-lasting, energy efficient lighting. One of the easiest ways to save energy is to utilize power resources only when needed. ASI can automate this task using photocells that respond to natural light levels. Photocells are positioned in an ideal location depending on sign type, geographic position and light source placement. 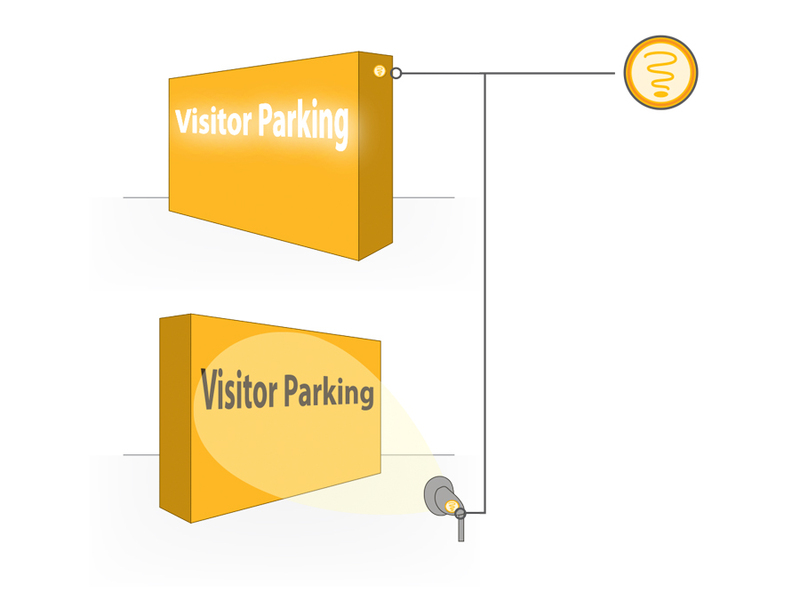 Additionally, it is possible to coordinate sign illumination circuits into your building energy management system. a green identity with solar powered signage. Find out more about our Continuing Education classes on sustainable signage with Green: The Strategies for Signage and Green: Introduction to Solar Signage. ASI Solar Feature is a reliable exterior solar solution that is 100% off the grid. Solar is perfect for facilities that need internally illuminated exterior signage where traditional electrical power is unavailable. Plus, using solar signage in conjunction with your brand identity shows your organization’s commitment to reducing its carbon footprint. The key to ensuring ASI’s solar signage solutions delivers maximum illumination lies with the superior solar sign power management unit and the energy efficient light emitting diodes (LEDs).